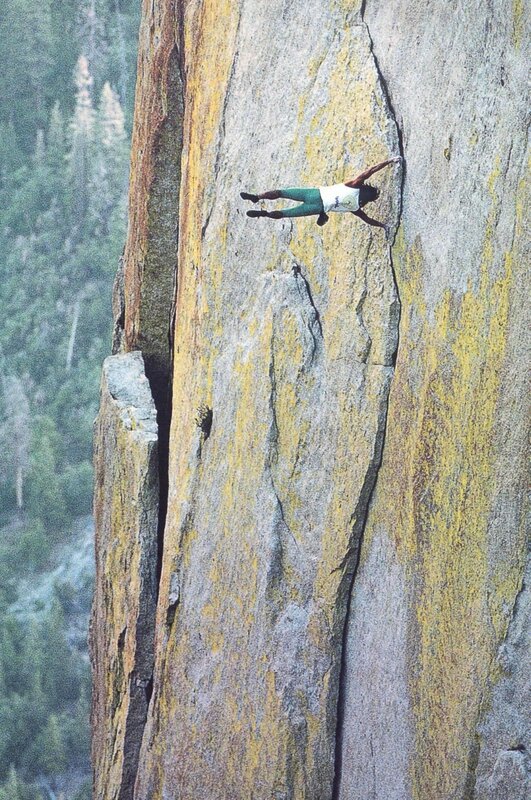 However, most free soloists eventually die, not due to lack of their own skill, but because something weird happens. A falling rock hits them on the head, or a rock flake breaks off just when they put their weight on it. Dan Osman died on November 23, 1998 at the age of 35. He was performing a “controlled free-fall” jump (like a bungee jump with a climbing rope) from the Leaning Tower rock formation in Yosemite National Park. Osman had come back to Yosemite to dismantle the jump tower but apparently decided to make several jumps (over a few days) before doing so. Investigators later concluded that a change in jump site angle probably caused the ropes to cross and entangle, leading to the rope cutting by melting. That was 17 years ago. The current reigning champion of free soloing is Alex Honnold. I have written about him before on this blog, just search for his name. Here is one post. I cannot watch the video below without my palms getting sweaty – while I am sitting safely at my desk. But there is a reason why there is a category of “climbing” in this blog, so I can’t help myself. I am too old to seriously climb, but not too old to watch.